This position is a joint appointment between the Observatoire du Mont-Mégantic (OMM) and iREx. OMM is actively involved in the development of astronomical instrumentation for ground- and space-based facilities. IREx brings together professors, researchers and students from the Université de Montréal (UdeM) and McGill, all specialized in the detection and characterization of exoplanets and related science topics. We invite applications for a research associate position to contribute to the development of the Fine Guidance Sensor/Near-Infrared Imager and Slitless Spectrograph, the Canadian-built instrument onboard the James Webb Space telescope (JWST), funded by the Canadian Space Agency. 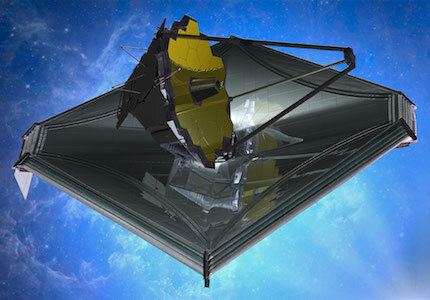 JWST is slated for launch in October 2018. The successful candidate, located within the physics department at UdeM, is expected to play a leading role, 70% of its time, in the development of the NIRISS instrument, more specifically for data pipeline development, data analysis and simulations tools. We are also seeking a candidate with a strong experience in exoplanet research. The successful candidate will have 30% of its time to conduct research programs related to exoplanets. Candidates should have a PhD in physics or astronomy with a strong background in the development of complex data pipeline for ground- and/or space-based instruments along with experience in exoplanet research. The term of employment is initially for two years. It is renewable annually, subject to performance and the availability of funding. The expected starting date is July 1st 2017. Salary will be commensurate with experience and will be competitive with leading international research centres. Please send a CV, list of publications, and statement of significant research contributions electronically (in pdf format) to: Prof. René Doyon (irex@astro.umontreal.ca) and ask three references to email letters of recommendation directly to the same address. The deadline for submitting an application is December 5, 2016. The successful candidate must submit to security assessment and obtain clearance pursuant to the Canadian Controlled Goods Regulations. UdeM is a French speaking university located in Montréal, a bilingual multicultural city with a European flavour. UdeM, one of Canada’s leading research universities, is the leading institution for the development of the Canadian contribution to JWST. UdeM upholds the principles of employment equity and welcomes applications from women, ethnic and visible minorities, aboriginals and the people with disabilities.